Nicholas DiBiase (@Hepnova) from Hepnova and Noah Dyer (@WealthNetTeam) from WealthNet Partners give a brisk talk about the basics of branding and how it can affect relationships with potential investors. Geared toward the entrepreneur, this video introduces the essential concepts of branding and why they matter to the startup seeking funding. Stories, examples, and counterexamples along with an amusing skit keep this first salvo in the struggle against bad marketing fresh and entertaining. This piece was produced for the online educational resource/expertise marketplace Advisor Garage. This is the fifth in a series of “This is real DIY” experimental documentary videos. Music by Hepnova. Tonight, Catherine and I attended The Economist’s Art of Political Satire event, which featured improv comedy by The Second City and live, interactive cartooning by Kevin ‘Kal’ Kallaugher, The Economist’s resident cartoonist. 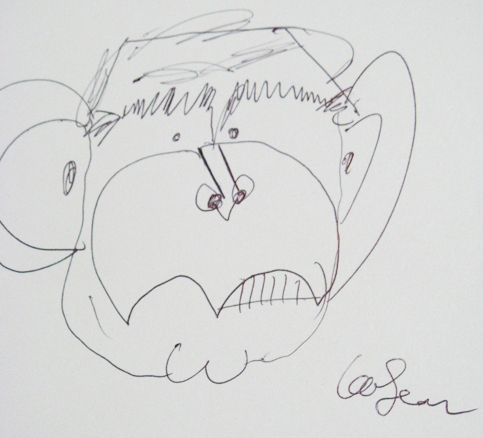 Kal did some live stand-up caricatures of politicians and gave the sketches to members of the audience. 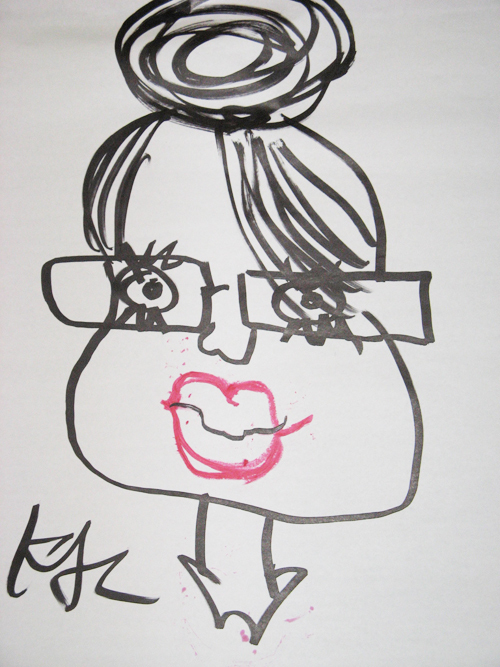 He gave me the Sarah Palin caricature above. That’s real lipstick on her lips! 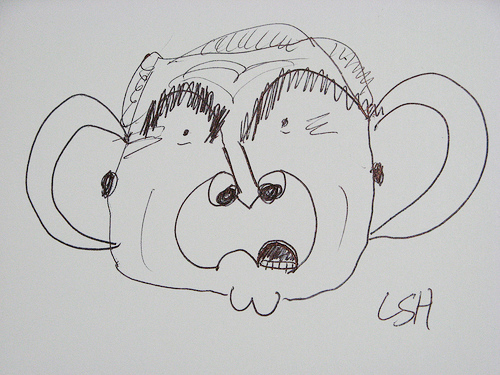 Kal also taught us how to draw our very own George W. Bush caricatures. Here are my two attempts below. I think they came out looking like angry, constipated chimpanzees, but I’ll let you be the judge. All fun and humor aside, I was very moved by Kal saying in his conclusion how lucky we are to live in a free country where cartoonists are allowed to criticize and make fun of our political leaders, unlike two-thirds of the rest of the world. The Danish Cartoon Controversy highlights just how precious and fragile the rights to polical/artistic expression are. The Sarah Palin dinosaur comic I did with Ruxy last month is a proud excercise of those rights and privileges. Is this meme the gift that keeps on giving? Like syphilis? I think this might have to stop with me.